Let's get down and dirty--- about your laundry habits. You may think you're in the clear, but every time you use your conventional, chemicals filled detergent powder, you could be affecting your health--- as well as the of water ways down Stram so we decided to seek out this product and find out which one performs best. Real Ezzy Wash is the most concentrate detergent release fresh scent in to your cloths. 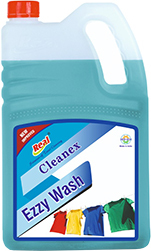 Real Ezzy Wash is full of concentrated cleaning power packed with heavy duty stain lifters from your family clothes. 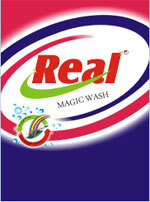 Real Ezzy Wash is appreciated by laundry, busy professionals, active students, House wifes etc. Real Excellent Wash is a powerful detergent which is ideally suited for all washing, cleaning, wetting and dispersing action. It has excellent stability to metallic and non-metallic ions of hard water due to it's chelating property. The detergent has rapid action and penetrating property in cold as well as warm water up to 80 C.
20 gram detergent in 4-5 litre water , stir well with hand and dip 6-8 dirty clothes, hold for about 30 minutes then wash with clean soft water use within scrub and rinse method. For machine wash 20 gm detergent is required quantity of water in washing machine, fix the program in washing machine and after some time rinse the cloths having excellent whiteness. Real Sparkle Cake have a powerful penetrating, cleaning and whitening property which rinse the dirt from inner part of cloths having skin soft and smooth.